This post 7 Hidden Facebook Power Editor Features to Save You Time first appeared on . This post How to Use Pinterest Analytics to Improve Your Marketing first appeared on . 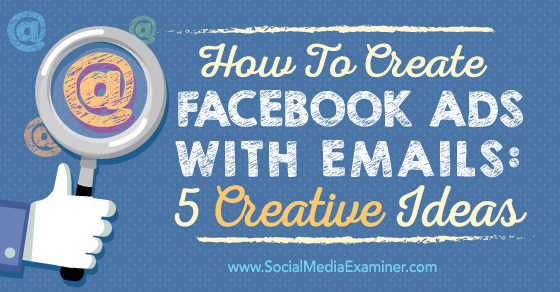 This post How to Create Facebook Ads With Emails: 5 Creative Ideas first appeared on Social Media Examiner.